The word summer triggers a sense of freedom in children, a chance to play and learn in amore relaxed and fun atmosphere.Our summer program offers a variety of exciting and stimulating choices, encouraging children to discover new friendships and explore new experiences, while creating an environment that allows them to feel safe enough to be themselves and to follow their personal path of creativity and curiosity. Summer Camp at Manalapan Montessori is the perfect choice for children to enjoy and share new experiences; it provides unforgettable memories and solid friendships, which they carry with them throughout the school year. 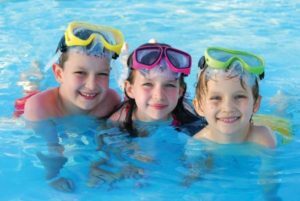 Our Swan Summer Program offers a rich variety of activities including swimming, tennis, arts and crafts, cooking and field trips. Whether they are outdoors on the go, inside our cool and air-conditioned Montessori facility, or on the school’s over-sized playground, campers are always under the experienced care and guidance of our counselor staff. Our summer camp is designed for children up to 2nd grade (entering 2nd grade in Fall 2017). Camp hours are 9am – 4pm. EXTENDED CARE is also available before and after camp. In the morning, campers will participate in an educational-focused Montessori program. 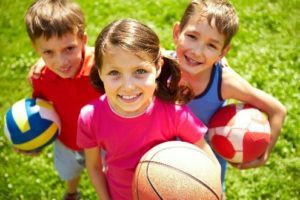 In the afternoon, campers will have fun with various planned activities on our over-sized playground or in our air-conditioned facilities. Occasional field trips are also included. As a service to working families, and because we understand life sometimes does not run on an exact time schedule, Early Morning Care is provided from 6:30 to 9:00 AM; there is a nominal fee. After Camp, from 4 to 6:45 PM, is also available to all campers in need of a relaxed and nurturing environment in which to unwind. 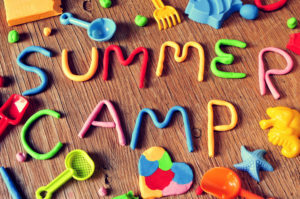 After Camp activities include art, sports, board games, movies, free time, and free play. There is a nominal fee for this service. For a nominal fee, there will be a continuation of various camp activities from August 20th – August 28th.